The government hopes India would lower the import tariff for palm oil products further after concluding negotiations on the Regional Comprehensive Economic Partnership (RCEP), a move that could increase demand for the commodity. “Matrade (Malaysia External Trade Development Corp) and other agencies are collaborating with each other to widen palm oil market access to other countries,” said Deputy International Trade and Industry Minister Dr Ong Kian Ming. “Our main export market is not the European Union (EU), but India. What we have to do now is not just promoting our palm oil aggressively, but also discuss with parties like India to reduce tariff on palm oil,” he said in the Dewan Rakyat. “Last year, India’s tariff on palm oil was reduced from 45% to 40%, there are still room for further reduction from RCEP’s perspective,” he added. Ong was responding to a question by Datuk Seri Ahmad Maslan’s (BN-Pontian) on the government’s plan to widen market access for palm oil products. The issue was brought up earlier by Datuk Seri Mustapa Mohamed (PH-Jeli), who asked the ministry of international trade and industry to state whether the government will submit a formal protest to the World Trade Organization regarding EU’s proposal of banning the use of palm oil in biofuel from 2021. 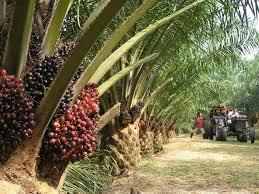 Ong said the EU’s Delegated Act on palm oil is still in discussion stage at the European Commission.